Zensible Mama: Where's my little honey? Have you entered my giveaway yet? Enter and Help Save Handmade. This is the 3rd Edition of DeCode Wednesday! And I'm lovin' it! 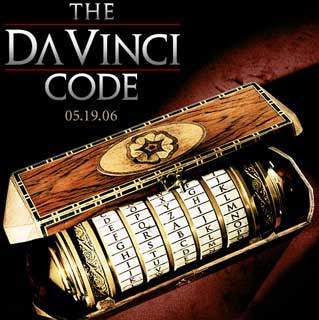 DeCode Wednesdays was inspired by the DaVinci Code Novel and are for those who take pride in revealing the hidden truth and having fun in the process! 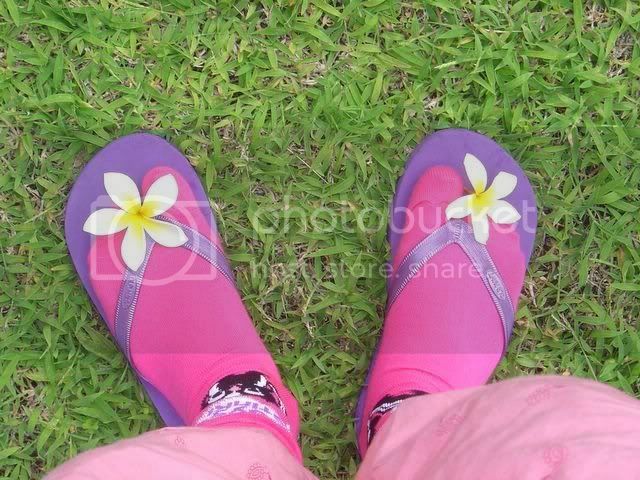 For every Picture tells a story that is NOT visible to the naked eye! What's with this not-so-exciting Picture? Nothing here to see right? 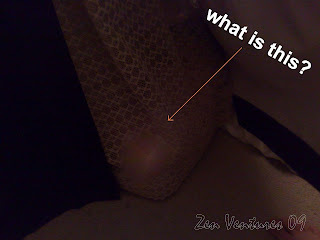 Well, my Little one decided to hid behind the curtain and slept there. 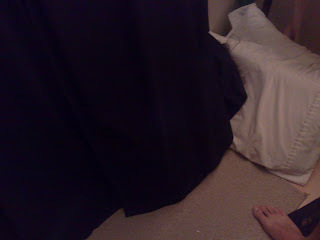 She didn't want to sleep in her room so she sneaked in our room, hid behind the curtain, got comfy and went to sleep! Of course, we were already on the verge of panic when we finally found her! Hope you enjoyed this Edition. She seems to sleep in the most unusual places. I'm glad you found her though! Omg - how adorable! Except for the mini-heartache I'm sure you were having searching for her. ooh my youngest used to do that!!! one night i found her in her bed... last place i thought to look!!!! she'd arranged the pillows so she was VERY hard to spot!!! haha...she's one smart cookie! Sorry I don't have any ingenious decodable shots like you..you're good at this though! That is too cute! I love the decode idea, count me in next week for sure, thanks for the invite!! You're a sneaky one. I can't seem to come up with anything for this but I like seeing yours. I can't find any good pictures to play :-(. Dang it! She is adorable though. I know you were about to go nuts when you couldn't find her. Your daughter is so cute, sneaking behind the curtain to sleep. Sorry for the panic. I posted about your award to me, Thank you so much. I thought of you when my 10 y/o son was talking about learning the Filipino dancing with the two long sticks in gym class. Aww, funny! She always do crazy things. I wish I could join your Decode Wednesday, but I don't have enough time to edit and hide the mystery of my pics. I don't think you should retire this cos it's always inspiring to see something new images to decode. wheeeeeh! she's the cutest, isn't she? I wish I had the time to join you here---But still, I wish you're not stopping this game. I love decoding and finding out what's hidden. Pretty please? ?